Developer Dave Pogorelc sets his sights on transforming the area around Andrew Square. Developer Dave Pogorelc will break ground this fall on Washington Village. For all the transformation that has come to South Boston over the last decade or so, the industrial streets around Andrew Square have stayed largely the same. That is about to change. 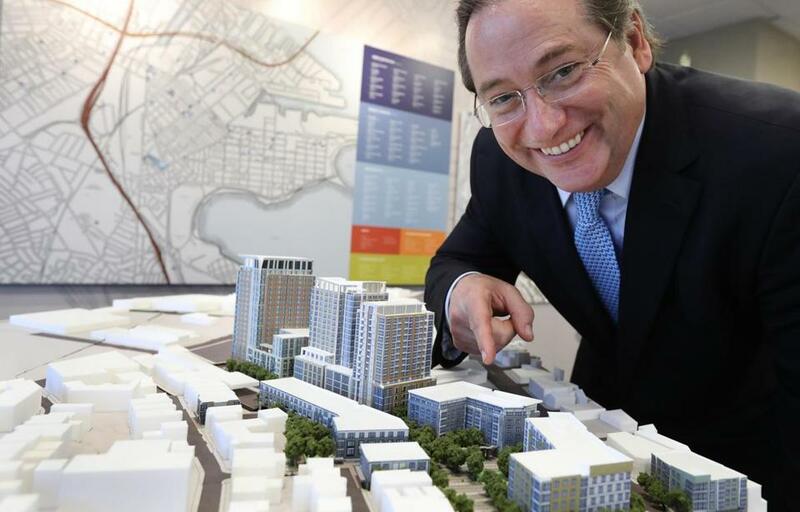 Developer Dave Pogorelc will break ground this fall on Washington Village, a nine-building, 656-unit pile of condos, apartments, and retail replacing 5 acres of old auto shops and commercial laundries between Old Colony and Dorchester avenues. It will be the biggest residential development to hit South Boston in the current boom — indeed, one of the largest residential projects in the entire city. And it’s aimed squarely at a slice of the market for which developers in Boston have struggled to build: the middle class. Pogorelc picked up a big chunk of the site in foreclosure seven years ago, which helped to keep land costs down. He’s hoping the scale of his project will spread costs enough to keep units relatively affordable. And on top of the city’s usual 13 percent affordable-housing requirement, he’s setting aside 26 units at prices accessible to middle-income households. Once Washington Village gets rolling, Pogorelc and his investors may turn to two more big chunks they own along Dorchester Avenue north of Andrew Square, land the city just rezoned to allow more tall and dense housing. That means he’ll likely be changing the neighborhood for a long time to come. Tim Logan is a Globe staff writer. Send comments to magazine@globe.com. Follow us on Twitter @BostonGlobeMag.